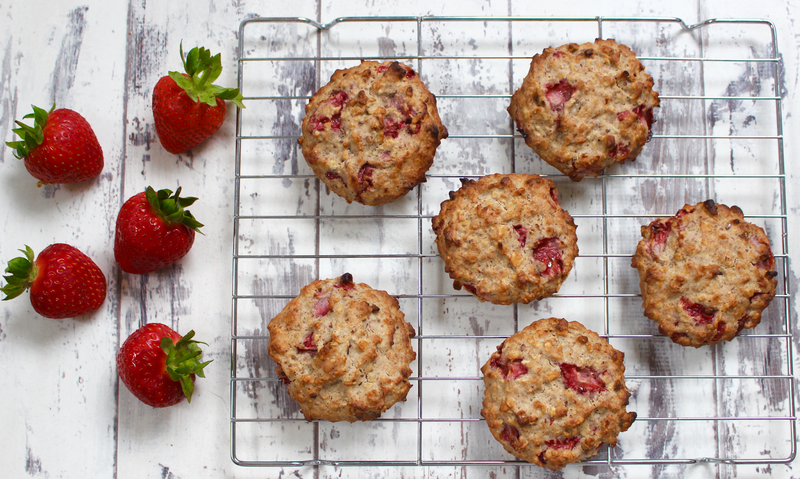 When I make cookies I generally go for standard chocolate cookies or perhaps simple oat and honey cookies but I decided to try something different and add fresh Summer fruit to my cookies and they turned out so delicious! 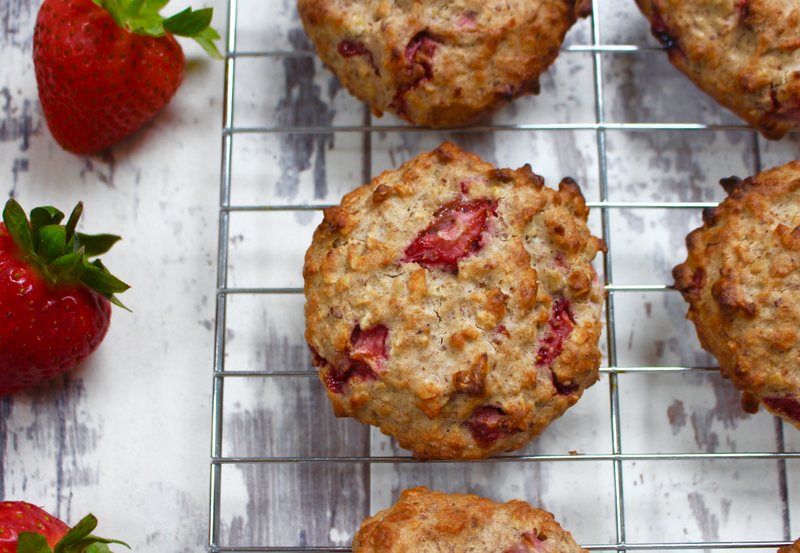 These Strawberry Shortcake Cookies are the perfect Summer cookie with fresh, juicy strawberries, zesty lemon, wonderful vanilla and delicious oats. They're light yet satisfying and are a dream with a cup of green tea! 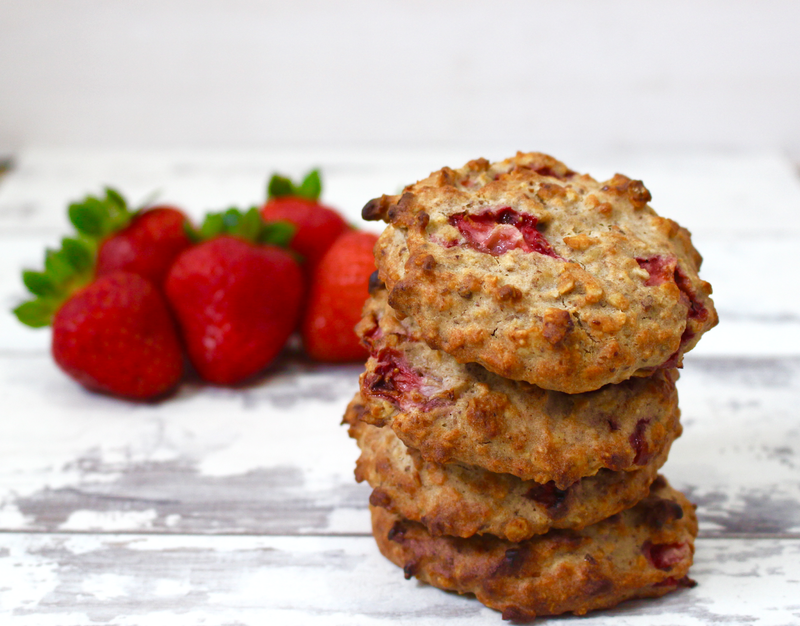 Strawberry shortcake is a classic dessert so it only seemed right I try and make it into a cookie....well, I've created Banofee cookies so why not something a bit more Summery? 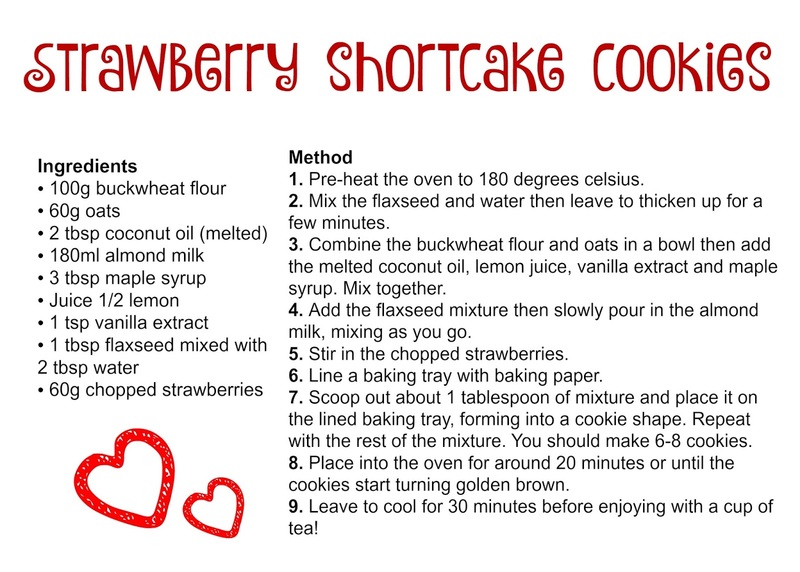 A classic strawberry shortcake is made from flour, sugar, butter and milk or cream which is fine every once in a while but if you're sticking to a plant-based diet, tend to avoid sugar or just want to live a little healthier then it's perhaps not something you want to be consuming, that's why my cookie alternative is a better option - the recipe is completely natural, plant-based and only uses wholesome ingredients. I used buckwheat flour which is a naturally gluten free flour made from buckwheat, a nutritious cereal like grain that's actually a seed. I added oats for a chewy, moreish texture and flaxseed to help hold the cookie together and for added healthy omegas! I also included coconut oil in this recipe which helps to bind the ingredients together and provides your body with essential healthy fats. Then there's the all important strawberries that'll give your body a boost of vitamin C...and they're super tasty, which is the important thing of course. These cookies aren't only natural and healthy but they're incredibly easy to make - you could whip up the mixture within a few minutes and have them baked within less than half an hour. Winner!